(Seychelles News Agency) - European and Japanese experts will be assisting the Seychelles’ environment ministry in two studies, one on the existing coastal waste management infrastructure and the other on developing a waste master plan in Seychelles. The principal secretary of environment, Alain Decommarmond, said that the studies will focus more on how Seychelles can deal with its waste domestically. He said that some big importers of waste such as China are shutting down imports. “Seychelles is a small country with very limited resources. The economy is opened to a number of imported products and we need to find domestic practical outlets to deal with our waste. This is why we are thinking of waste to energy,” said Decommarmond. The two studies, which were presented to local partners in a workshop on Thursday, are running simultaneously by two different companies. Both studies will take up to six months to complete. The workshop was held to present the tasks that the experts are undertaking in the studies and to engage local institutions involved directly or indirectly in waste management to contribute towards the drafting of the Solid Waste Master Plan. The first study on coastal waste management is being financed by the European Union and it will be undertaken by COWI, an international consulting group specialising in engineering, environmental science and economics based in Lyngby, Denmark. Speaking to SNA, one of the experts from COWI, Andrick Mols, said that his team will be looking closely at concrete action to improve the waste management situation in Seychelles. A Japanese company, Nippon Koei, is conducting the study on the development of the waste master plan which the World Bank is financing. Decommarmond said that the studies are also looking at how Seychelles, an archipelago in the western Indian Ocean, is engaged in waste management and how waste can be sorted out properly. “In order to have effective plan individual households need to start thinking on how to sort out their waste. It all begins at home,” he said. Waste sorting is not new to Seychelles as there is a working system in place for the processing and exporting of PET bottles and cans. These are being sold at redeem centres by informal collectors. A participant, Victoria Alis, from the Sustainable Tourism Foundation said that while the study will be looking into the possibility of charging household for municipal waste disposal, she is concerned about the increase in littering. She said that only a few people would want to pay the fee and be accountable for their waste. 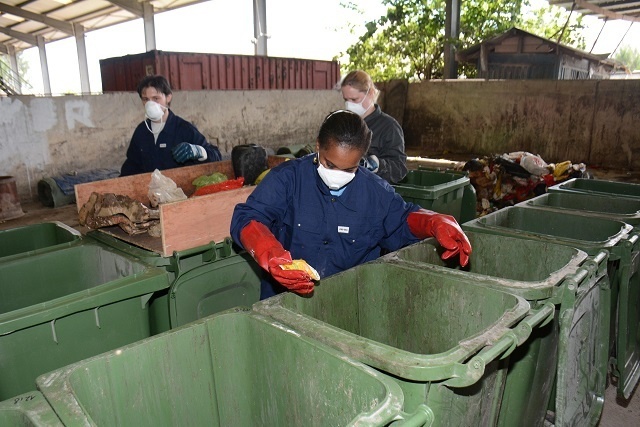 According to the Seychelles Sustainable Development Strategy (2012-2020), the 95,000 inhabitants of the island nation generates about 48,000 tonnes of waste per year.